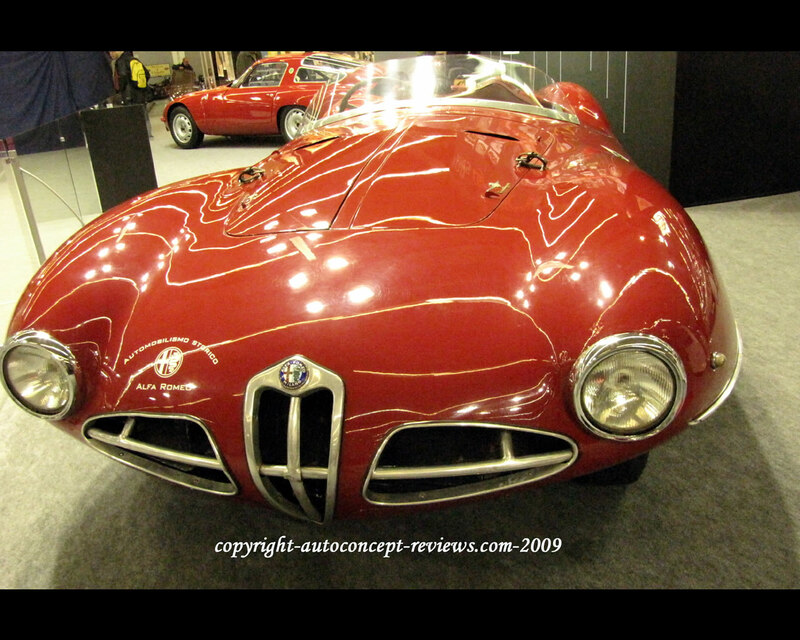 This Alfa Romeo C52 Disco Volante Spider was conceived in 1952 by the engineer Giachino Colombo in collaboration with the Carrozzeria Touring Superleggera in order to participate in sports car racing events. The shape of the body was original with ogive form section split transversally in order to limit the adverse effect. of lateral wind. 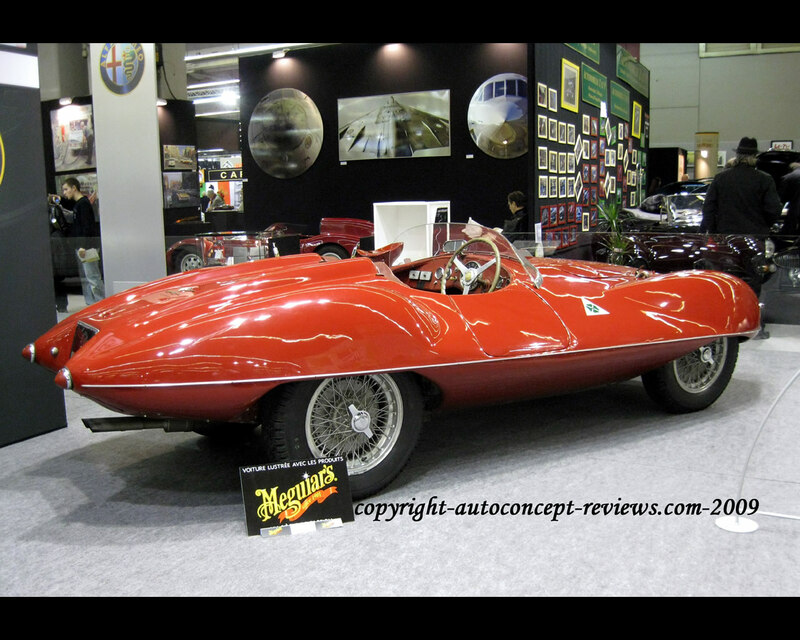 This shape resulted in the nickname "Disco Volante". The making of this shape required strong collaboration between mechanical engineering and body design and manufacturing teams. 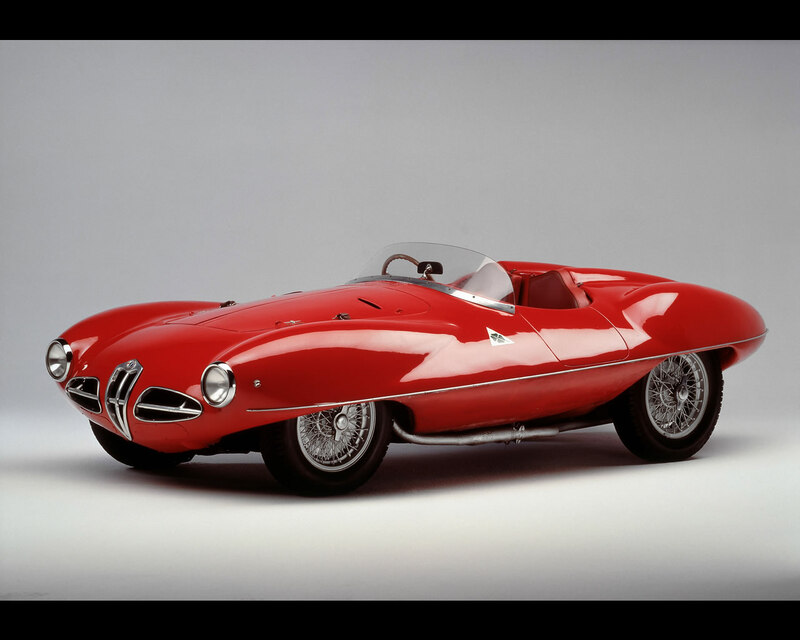 In 1953, a closed coupé was prepared as well as a second spider so that in total only three Disco Volante were ever made. The 1952 spider and the 1953 coupé remained experimental prototypes while the second spider was entered in a few sports car racing events. In the season 1954-1955 the Swiss racing driver Jean Ducrey participated in hill climb races. 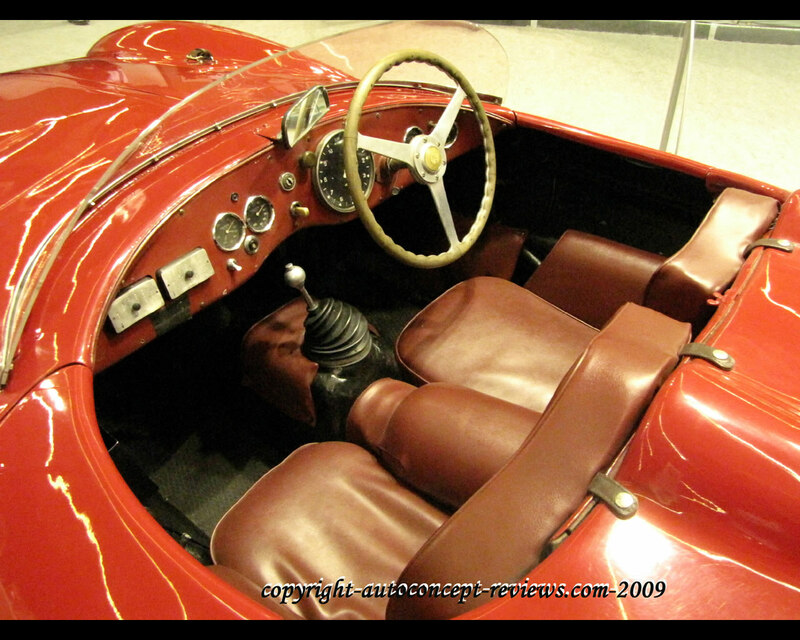 The car presented here is part of the Alfa Romeo Museo of Arese and borrowed to French Alfa Romeo Automobile Club for the Retromobile 2010 in Paris. SPECIFICATIONS: Superleggera Touring body with light tubular frame with lateral main beams structure. ENGINE: light alloy 4 cylinder in line with twin overhead camshaft, 1997 cc., twin double head carburetors, maximum output 158 hp at 6.500 rpm., TRANSMISSION rear wheel drive, 4 speed gearbox BRAKES hydraulic drum brakes all around WEIGHT unladen 735 kg MAXIMUM SPEED 225 kph.